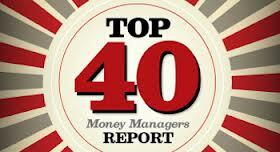 Benefits Canada magazine released an annual Top 40 Money Managers survey—for advisors the survey offers an interesting picture of the up-and-coming superstars in institutional pension fund money. The survey is not be well-known among advisors, but it is followed by those in the pensions and benefits industry where it is considered one of the best snapshots of the pension investment fund industry. According to the latest report TD Asset Management is the Canadian leader in terms of Canadian pension assets under management; in second place is Blackrock; in third place venerable Canadian name Philips, Hager and North Investment Management. Which is not a surpris—these are the big names in industry. More interesting are the smaller names making their way up the charts. The survey slices and dices the numbers in terms of firm size. The fastest growing manager in the category of managers with less than $1 billion in pension assets under management is CHS Asset Management Inc., a money management firm running the Curvature hedge fund, a Toronto based market-neutral hedge fund focused on the Canadian and U.S. small and mid-cap equity markets. The fund increased Canadian pension asset 144% between 2012 and 2013. Funds under management rose from $18 million to $42 million in just one year. The fastest growing fund with between $1 to $10 billion in assets was Triasima Portfolio Management Inc. a Montreal-based fund that has a rigorous stock-selecting process. The fund increased its Canadian pension assets over 145%, rising from $775 million in 2012 to $1.9 billion in 2013. Franklin Templeton is the fastest growing firm with assets over $10 billion. The company expanded the amount of Canadian pension assets its holds by 30% to a little over $40 billion.